Stay current with news and insights from Crystal Creek. Covering fulfillment, ecommerce, green fulfillment, shipping, and more! Our Newest Facility is Almost Ready! We’re beyond happy with how quickly things are coming together in our Reno facility. Before you know it we’ll be up and ready to begin shipping frozen fulfillment from our newest location! Go Crystal Creek! Crystal Creek donated 7,400 trees to Whatcom County here in the beautiful state of Washington. With the help of the Nooksack Salmon Enhancement Association (NSEA), we spent our St. Patrick’s Day last month planting 200 of those trees! The New Year has officially arrived! Looking for a few ideas to help you better prepare for the year? Forbes published a great article to help remind businesses what they can do to best prepare for what 2017 holds! Check it out! B-Corp for a Year! 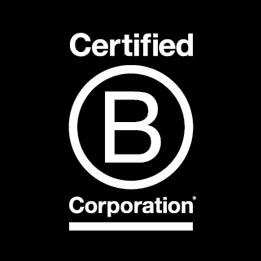 Here at Crystal Creek, we’re celebrating our first year as a B-Corp certified company! It’s been a wonderful experience so far and we’re looking forward to the years to come!